Just recently, resqme Inc. has rolled out the latest emergency hammer on the market. 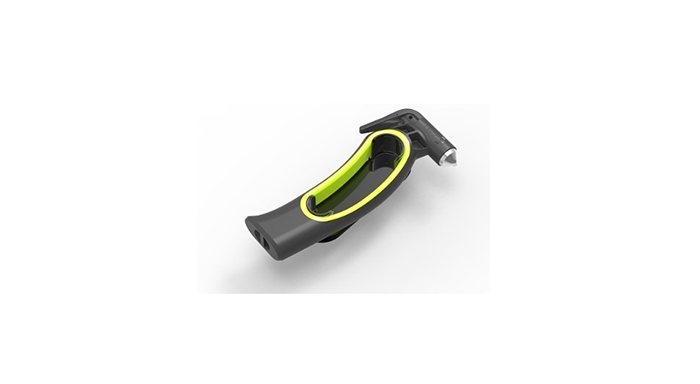 Called resqhammer™, the product is an innovative window-breaker and seatbelt cutter in one with a contemporary and ergonomic design. The resqhammer is compatible with resqme®, the company’s best-selling keychain car escape tool which can snap into the base of the resqhammer, enabling for the convenience of a hammer and center-punch in one. resqme Inc. confirmed that they will unveil next year the resqlite™, a LED which is also designed to snap into the base of the resqhammer providing drivers with more versatile solutions. According to Laurent Colasse, founder and president of resqme, Inc., they are so thrilled to be adding the resqhammer to their award-winning line of life-saving tools so that more people could make safety their priority. The resqhammer is an advanced emergency escape hammer that is proven to rescue any car occupant during emergency. Trademarked and patented, it comes with a razor sharp blade for cutting seatbelts, stainless steel hammer head and ergonomic handle to protect the knuckles.